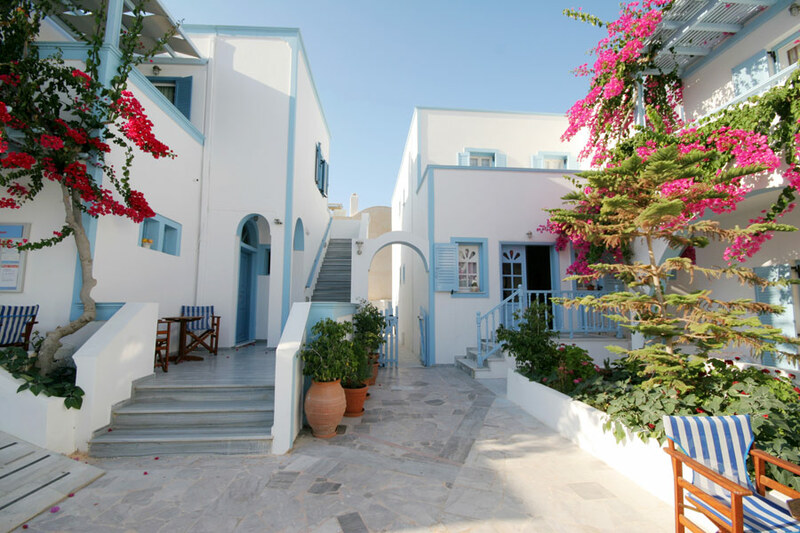 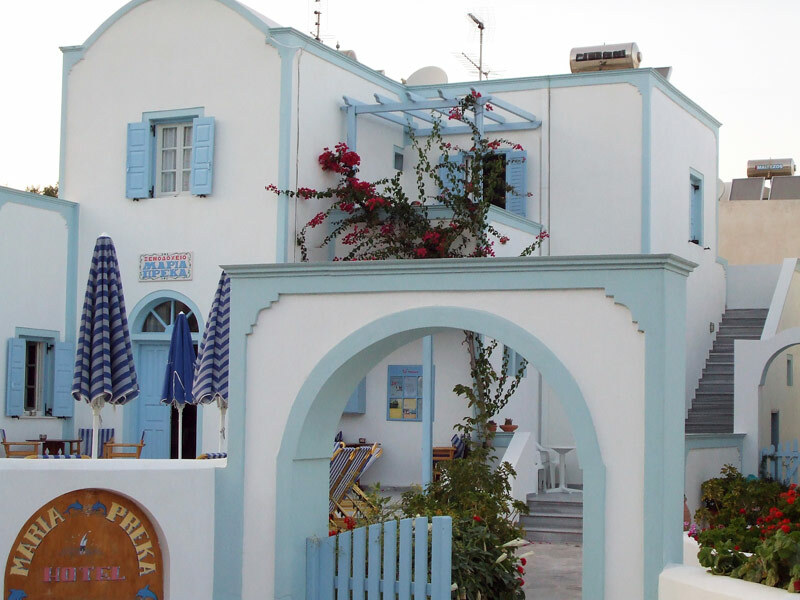 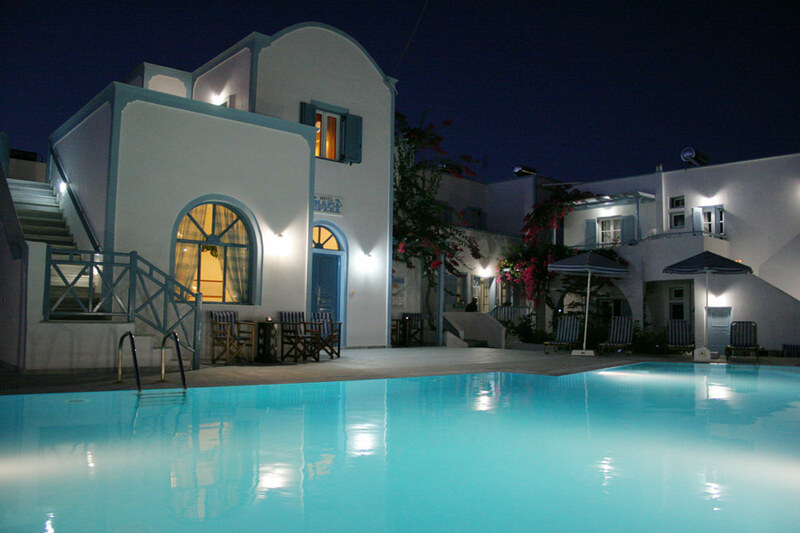 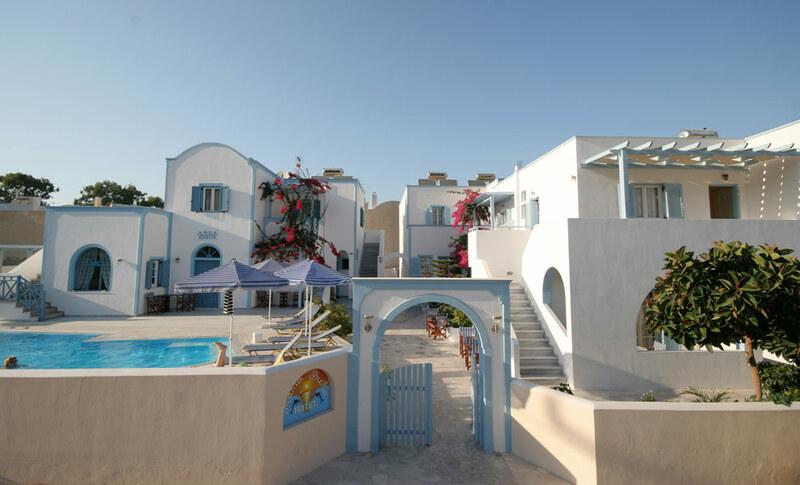 Preka Maria hotel in Santorini island is situated at a very convenient point, 80 meters from the black beach of Kamari. 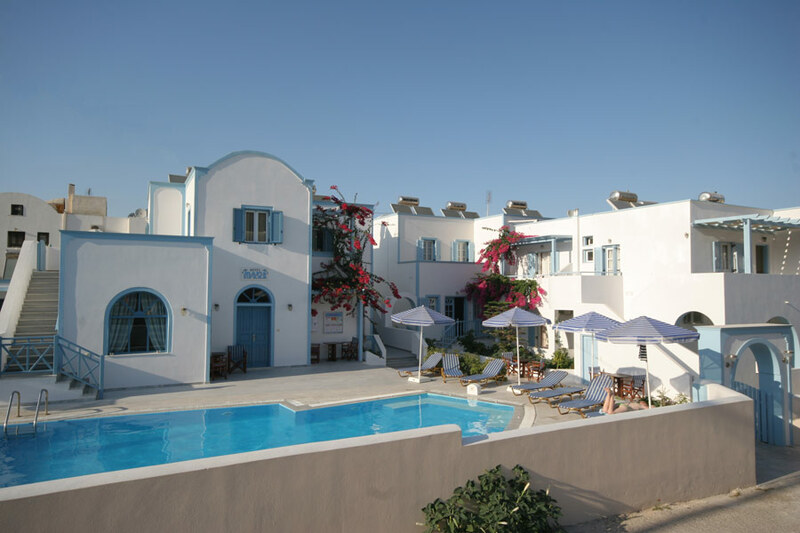 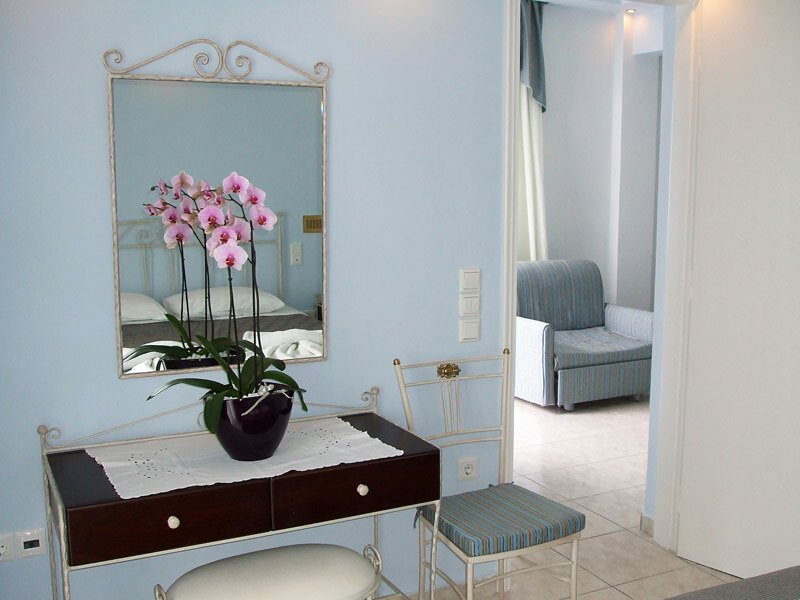 The Preka Maria Hotel in Kamari, is built according to the traditional Cycladic architectural style and is comprised of 23 tastefully-furnished rooms, studios and apartments, a nice swimming pool, gardens to make a comfortable environment for relaxing holidays. 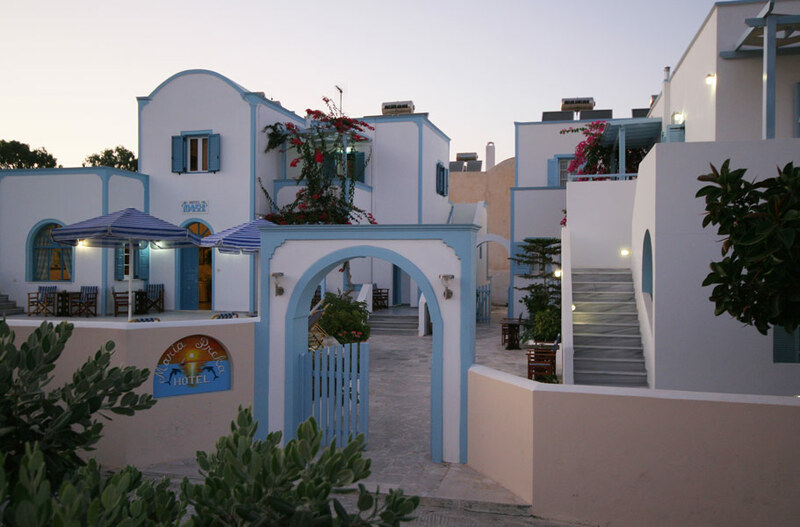 Situated in the center of Kamari in a very quiet area and within walking distance, Hotel Preka Maria consists of 3 different types of accommodation. 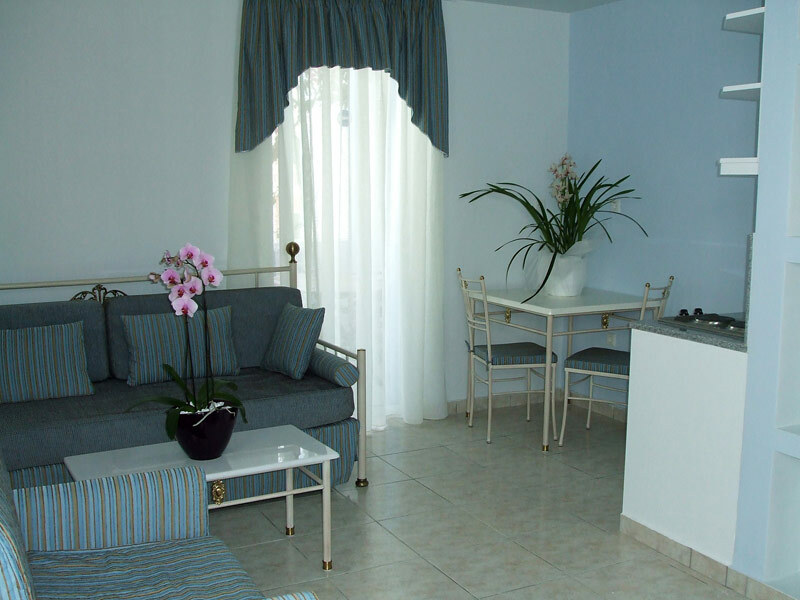 The rooms, studios and apartments are spacious and decorated tastefully. 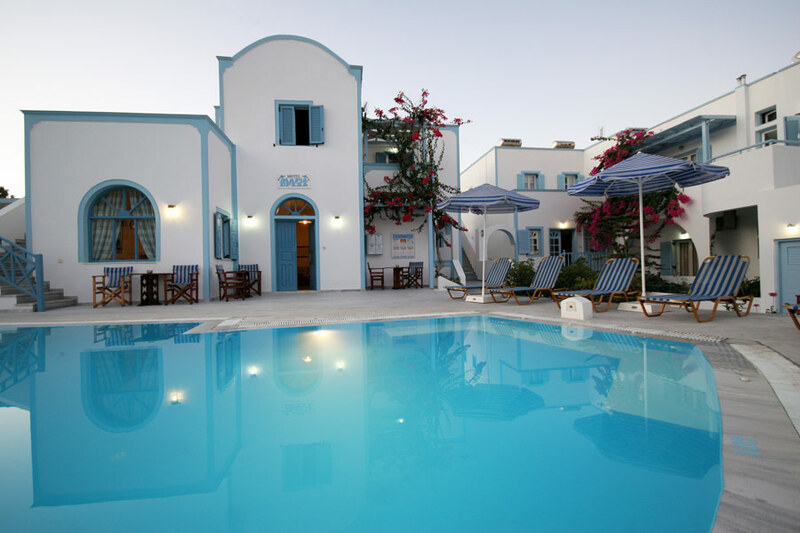 The visitor finds out extraordinary service, the daily cleaning of the rooms and our hospitality in Santorini unforgettable. 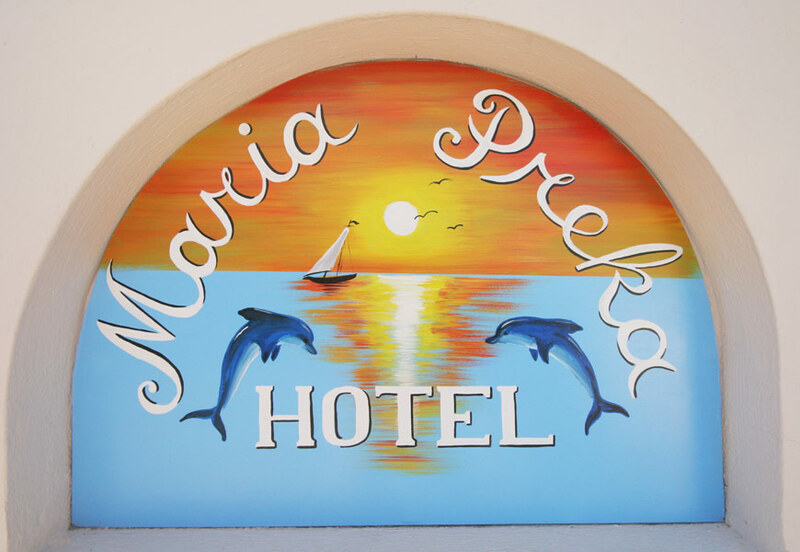 Hotel Preka Maria offers a quiet relaxing atmosphere.